My first computer background displayed a sand beach tapering off into a clear, blue body of water. While in practice this was a cheesy, often poor reflection of what the ocean actually represents, this image embodied a profound sense of relief and relaxation. I don’t think I am alone in equating the ocean with serenity. Literary minds frequently set the ocean as a place of escape: think F Scott Fitzgerald’s Tender Is the Night, or J.D Salinger’s A Perfect Day for Bananafish. These works help solidify the ocean as the backdrop for repose. But the ocean goes beyond being simply a repository for human abstraction. 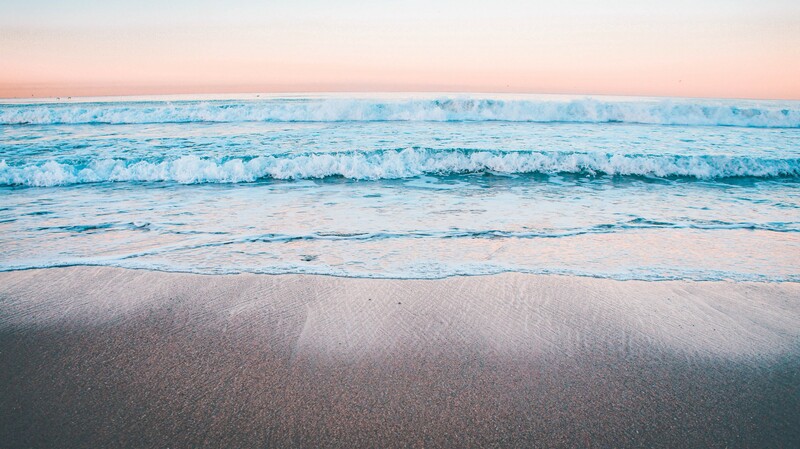 The ocean is, in many respects, our environment’s litmus test; a petri dish that reflects the vastly complex changes in the environment over time. This is particularly true when considering the concentrations of floating vegetative matter across the pelagic landscape. Recently, in the Caribbean and portions of the Southern United States, large concentrations of a certain type of seaweed, called Sargassum, washed up on shore, causing massive beach closures and millions of dollars in lost tourism. One study cited the annual cost of clean up the Texas beaches at $2.91 million dollars. (For more please check out Mengqiu and Chuanmin Hu’s study on Sargassum disribution). This is not to say that Sargassum is bad for the environment, or that its proliferation cannot be positive. Sargassum provides a very important floating habitat for numerous pelagic species who rely on it for food and shelter. It is thought to be comparable, in nature and importance, to coral reef. It’s arrival on shore also does not have to be altogether a drag on society. As a nutritionally dense organism, it can act as an effective fertilizer, or be used as structural support for sand dunes. It can also be fried and eaten. That said, transforming sargassum or other macroalgae into a product requires coordinated preparation. This can involve controlling or dispersing algae blooms which, in turn demands effective tracking and monitoring. Recently, one of our users requested a tool for doing this and this week we are excited to announce that Alternate Floating Algae Index, or AFAI, is now available through the Planet OS Datahub! This index detects and monitors not only Sargassum but also green macroalgae and cyanobacteria every three days and is pivotal for understanding where and when large concentrations of pelagic bound organisms develop, exist, and travel. Being able to better capture the current standing of important organisms like Sarguassum within the oceanic ecosystem provides a lens into the effect upon them. While this might seem evident, it is something we cannot ignore. A data-driven comprehension will inform our strategy as we progress toward helping conserve monetary resources, build new products, and govern our treatment the body that reflects the health of the planet. Hopefully, the literary geniuses to come will see the beauty of the ocean as their predecessors did, with, perhaps, the added benefit of an occasional missive on frying Sargassum washed up fresh in the morning tide. Many of the datasets made available through the Planet OS Datahub have been at the request of our users. For those who require a consolidated, easy to use, resource for accessing large and complex material that the the datahub does not already offer, please reach out to the team and we will work toward bringing it onboard. For more information check out the Planet OS Datahub.